Sometimes one needs get out of the house and find a coffee shop to get some work done. It could be that home is too loud, there is a lot going on or it might even be too quiet. When you have some assignments to get done you need the right environment. 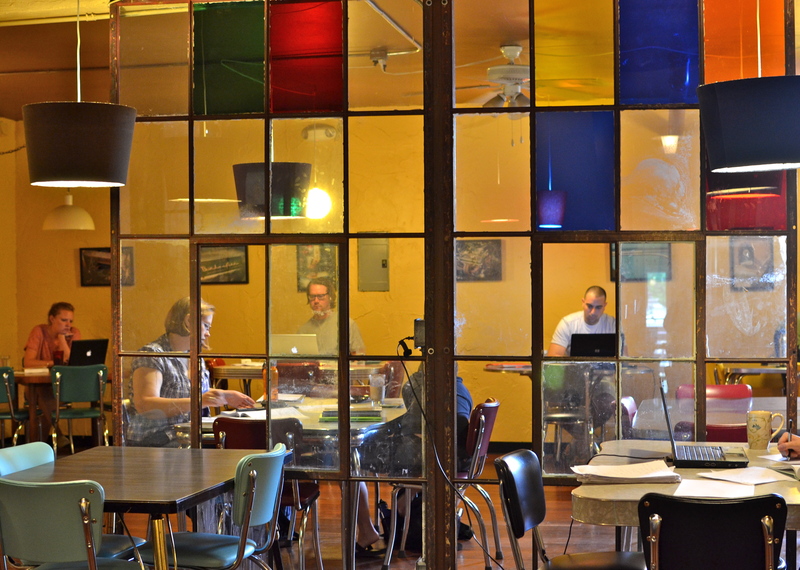 So here is my top 5 coffee shops around town to get stuff done. Found in East Austin Cenote is a large house on the corner of Cesar Chavez and Medina. My favorite part is the shaded Patio that is great for the Texas weather. My favorite drink is their House Made Iced Chai. Great for team meetings as well, you can find a spot inside or outside (I recommend outside) but don’t forget your charger, plugs are hard to find. This is an Austin classic. Just on the river and with an ample collection of desserts and gelato you could be here all day! Personally I always go for the ColdBrew. It’s a great place to hold team meetings in great part for its relaxed environment, great views and the fact that you can always find a table. Hidden away in the middle of Hyde Park, Flightpath is ideal for individual work sessions. Plenty of tables and plugs can be found throughout the place. You might not even need to bring your headphones, people here are quiet and productive. They have an excellent cold brew but are open to whipping up any time of coffee based drink you desire. Ever have one of those days where you have so much to get done but you’re still asleep and can’t seem to get up? You need to head over to Houndstooth. A little on the pricey side but as long as you’re not picky about where to sit after having one of their specialized coffees you’ll be ready to tackle your to do list. This is one of MSTC’s best kept secrets, I’ll let you figure that one out for yourselves.